Tuesday 6:00 p.m. Run along the canal. We meet in front of Lifetime Fitness on the SE corner of Gilbert and Warner. The length and speeds vary and we even have walkers! Wednesday 6:00 p.m. Time to hit the track. We meet at the Gilbert High School track. The group does speed work for those that want to get faster but as always, people are encouraged to do what they enjoy. So come out and run, sprint, race, jog, or even walk. 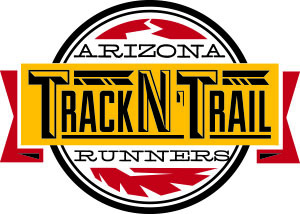 If The track is unavailable we meet at Freestone Park on Lindsey north of Guadalupe in Gilbert. Thursday 5:00 a.m. Meet at Lifetime Fitness on the SE corner of Gilbert and Warner and run 5 miles. Saturday 5:00 a.m. Run along the canal. We meet in front of Lifetime Fitness on the SE corner of Gilbert and Warner. The length and speeds vary and we even have walkers! Afterwords we go out for coffee and socializing. Sunday Time to hit the trails. The times and locations vary week to week. Sometimes we run South Mountain leaving from the parking lot at Pima Canyon entrance by 48th St. and Guadalupe. Other times we run San Tan leaving from the main entrance off of Phillips. Check to verify because we would hate to have you go out when we are not there! Click on where we are meeting to go to a map of it.